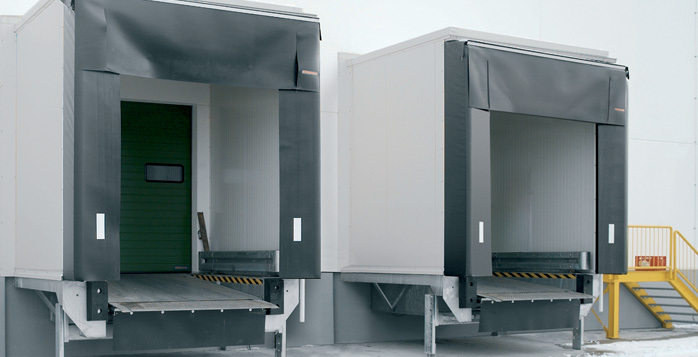 Dock levellers can be installed into the factory floor during construction or where this isn’t possible, or more space is required a loading house maybe the best option. 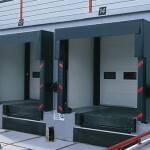 Hydraulic dock levellers are available as hinged lip or telescopic dock levellers. 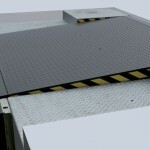 With a length of up to 5 metres, they can bridge large height differences between the ramp and the lorry loading level. 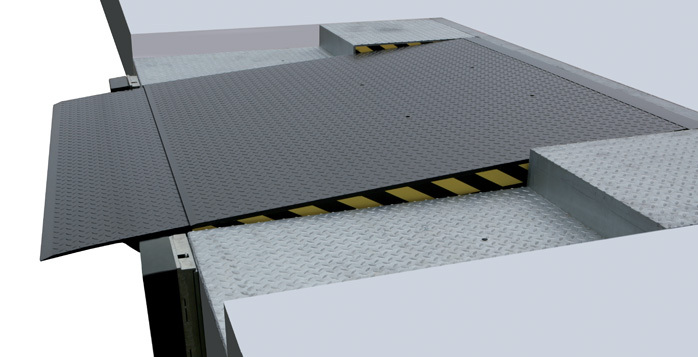 Up to a size of 2000 × 3000 mm, the dock leveller platform is made of a single piece. Longer dock levellers are connected by a stable, continuous weld seam. 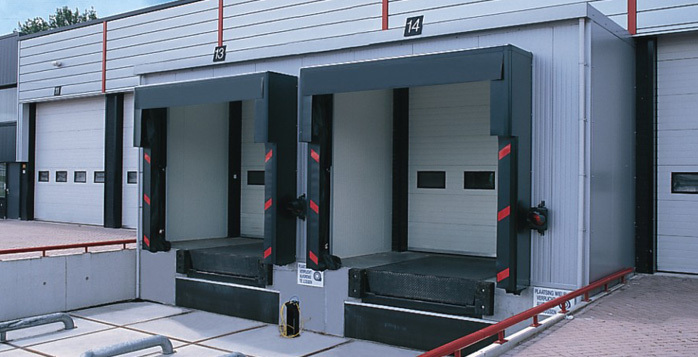 All Hörmann dock levellers comply with the requirements of EN 1398. Loading houses are placed in front of the building. This means that the entire building space can be used, right up to the exterior walls. The building door extends to the building floor not on top of the dock leveller, but behind it. 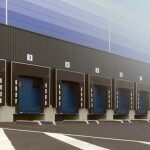 as a complete loading bay can be added to the building without costly reconstruction measures. 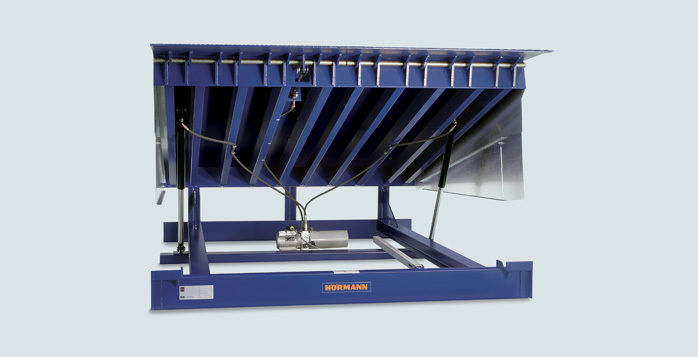 Hörmann flap dock shelters adjust to the lorry’s size and can thus be used universally. They are available in many variations and can therefore be optimally customised to most situations. High-quality top and side flaps, mounted on a galvanized, compressible steel frame, result in a stable, flexible and tear-resistant construction. 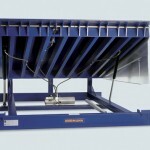 Flaps and frame parts are manufactured as easy-to-assemble individual elements that can be screwed together. This also makes replacements simple and inexpensive. Inflatable dock seals adjust particularly well to the different lorry sizes. 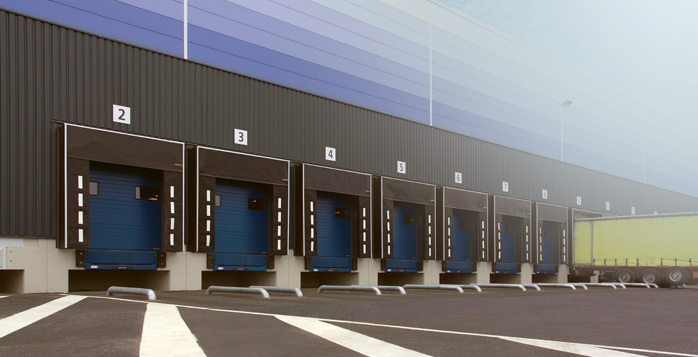 The excellent seal mostly prevents the entrance of cold into heated buildings or of heat into refrigerated warehouses, saving energy. 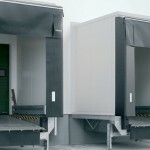 It envelops the vehicle without restricting the area of travel of the doors and is the optimal solution for specific situations, such as a DOBO system. After the loading process and switching off the fan, the cushions quickly withdraw via their interior tension. In warehouses where lorries or swap trailers with similar dimensions and designs are without top flaps, cushion dock seals are an excellent choice and offer the best sealing. With cushion dock seals the gap between the outside of the container and the open door is sealed. However, this reduces the loading opening, which makes them unsuitable for lorries with top flaps.